Test your plant vocabulary. Do you know these terms? Annual: A plant that only lasts one season. Its lifespan completes within 4-6 months. Aquatic plants: Plants that grow in or on top of water. Arboretum: A garden, usually established for educational or scientific purposes, that contains many species of trees and plants. Bare Root: Plants that are sold with no soil around their roots. 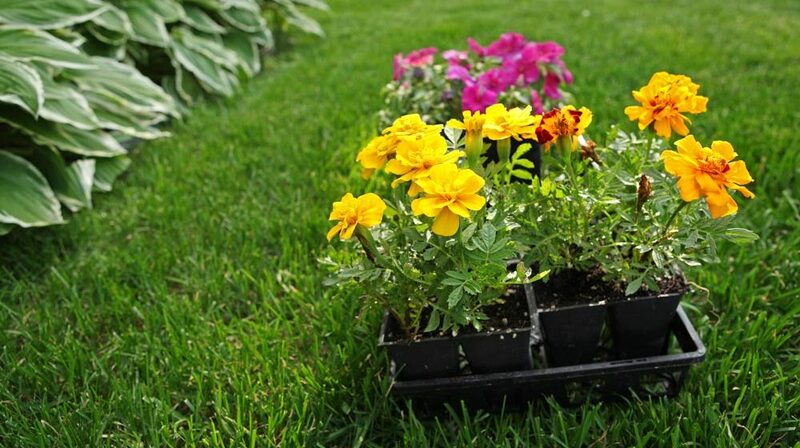 Bedding plants: Plants suitable for filling up a landscaping bed. Bulb: An underground form of a bud that holds water and nutrients and from which a plant grows. Canopy: A tree’s spread of branches and leaves (not to be confused with crown). Crown: The part of a tree trunk where it meets the root system in the ground (not to be confused with canopy). Cultivar: A plant that has been grown from a cutting rather than from a seed. Deadhead: The practice of cutting dead flowers off of their stems. Deciduous: A tree that loses its leaves in the cool/non-growing season. Dethatch: The removal of a layer of dead and organic matter built up between the soil and the bottom of grass blades. End-of-the-Hose Plant: A plant that is sturdy and drought tolerant and grows beyond the reach of the end of the garden hose. Evergreen: A tree whose leaves keep growing all year. Filler Plants: Those plants that provide fill in a container or bed between other plants that are low and ones that are tall. Germinate: When an embryo in a seed grows into a seedling. Ground Cover: Short plants that spread across the ground. Herbaceous: A plant that has soft tissues (not woody). Humus: A soil component made rich by decomposing leaves and organic matter. Hybrid: The plant that is produced when two different plants are bred together. Invasive Plant: a non-native plant that grows out of control and takes over native plant communities. Native Plant: A specimen of plant that has grown in an area for a very long time and is historically found in the area. Noxious Weeds: Invasive and non-native plants that pose a threat to local agriculture and landscaping. Ornamental Grass: Grass that is planted as a specimen, i.e. not turf grass. Oxygenators: Plants that grow in a pond and provide oxygen for the water. Palmate: A plant shape that resembles a hand, with leaves that grow like fingers from a central point. Parasitic Plant: A plant that gets its nutrients from another plant. Perennial: A plant that lives for many seasons or even years. Propagation: The starting of new plants, usually from seeds or cuttings. Rhizome: A stem that appears as a root in that it grows sideways underground and produces new leaves and shoots. Root Ball: A clump of roots and the surrounding soil of a plant or tree dug up from the ground. Roots: The part of a plant that grows under the ground, takes in nutrients and water, and supports the plant. Softscaping: Elements of a landscape that include plants, grass, shrubs, and trees. Variegated: Leaves that display more than one color. Wet Feet: Plants that can tolerate soggy or saturated soil.